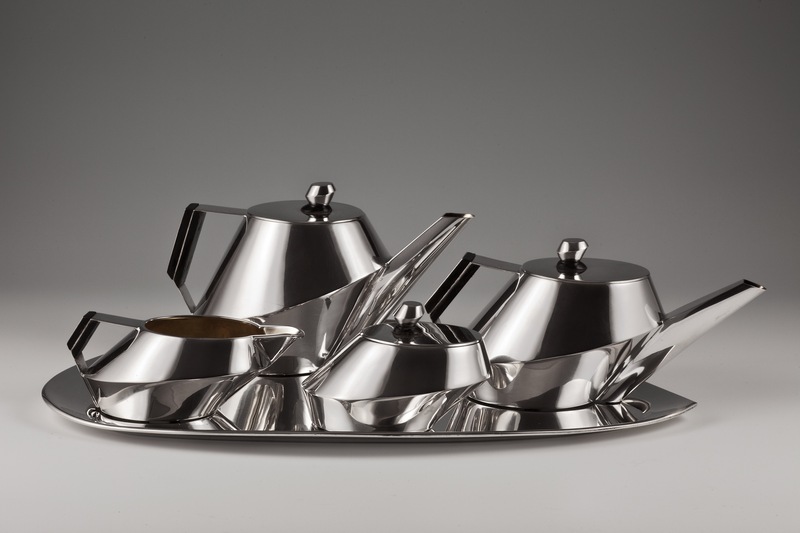 AN amazing Hungarian modernist tea service is among the treasures to be found at the LAPADA Art & Antiques Fair at Berkeley Square in London from September 19-23. 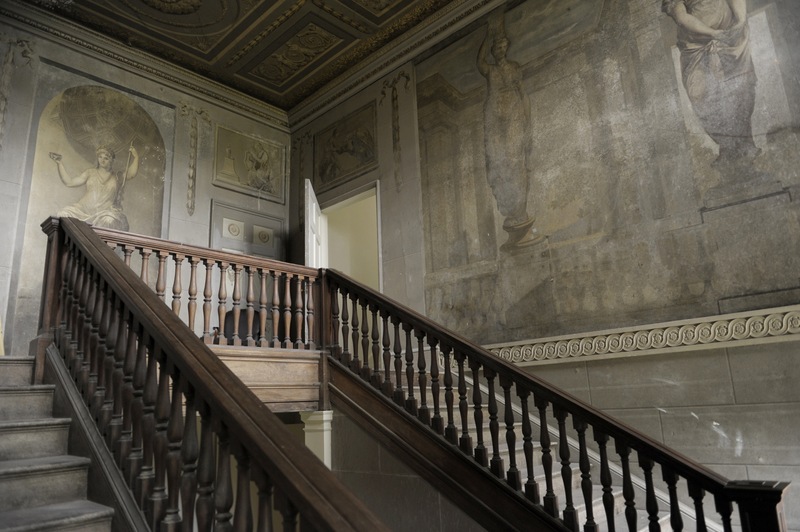 Around 95 of the UK’s major art and antique dealers alongside European specialists who are among 600 members of LAPADA – the Association of Art & Antiques Dealers – will attend. LAPADA is the largest UK trade association for professional art and antique dealers. Exhibitors offer fine English and Continental furniture, modern and contemporary art, Old Master paintings and drawings, rare and fine jewellery, English silver, sculpture and specialities such as antique clocks, vintage wristwatches, marine art, aeronautica, rugs and textiles, ceramics, porcelain and glass. This will be the fourth edition of the Mayfair fair. The six day event normally attracts around 15,000 visitors. 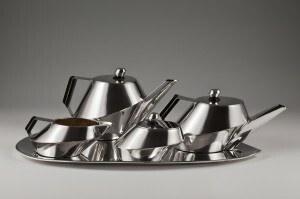 Smith and Robinson will show this rare Hungarian modernist silver tea & coffee service dating from 1963-65. The tray is 16″ x 11″. The service is hallmarked 835 silver. (Click on image to enlarge). 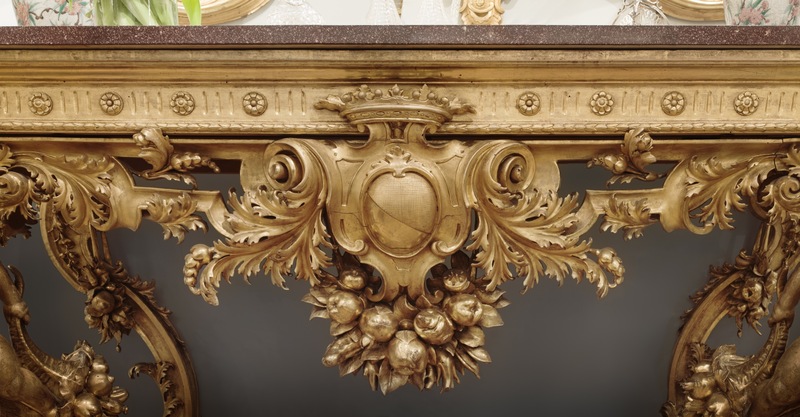 Detail from a Florentine giltwood and porphyry side table attributed to Franceso Morini and supplied to Marchese Gino Capponi, Palazzo Capponi, Florence c1860 at Butchoff Antiques. (Click on image to enlarge). 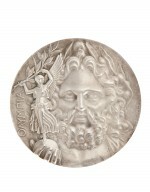 First Place Olympic Medal, Athens 1896 silver medal designed by J.C.Chaplain (1839-1909), estimated at £20,000 – 30,000. (Click on image to enlarge). Courtesy, Christies Images Ltd. 2012. 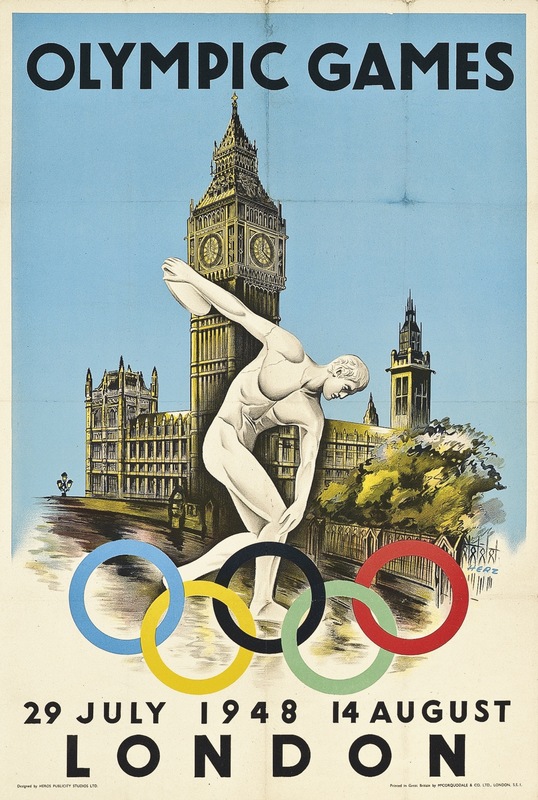 Walter Herz (b.1909) Olympic Games London 1948 lithograph in colours. Estimate £1,000-1,500. 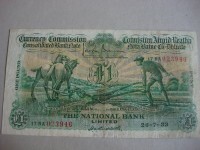 Courtesy Christie’s Images Ltd., 2012. (Click on image to enlarge). THE Olympic Games now underway after a truly spectacular opening ceremony in London last night will be marked in all sorts of ways. In keeping with the Celebration of Britain theme at the opening the auction house Christie’s has put together an exhibition entitled My London: Art & Icons, Then & Now. On view at South Kensington, where it will be auctioned on September 3, it comprises over 150 lots ranging from a 1948 London Olympics poster to an iconic red London bus. The double decker bus, which can be viewed by appointment, dates from 1966 and is estimated at £20,000-30,000. 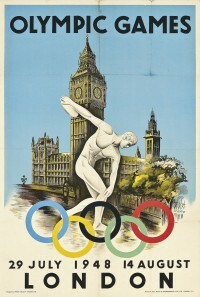 A lithograph of the Olympic Games, London, 1948 is more affordably estimated at £1,000-1,500. The Japanese temple bell is in original condition. UPDATE: THIS WAS UNSOLD. 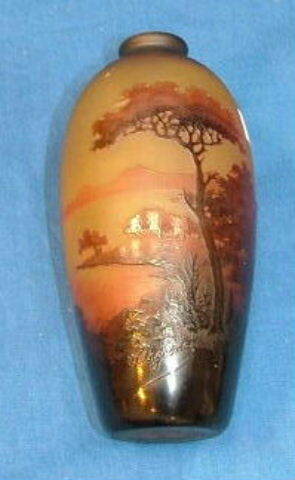 The cameo vase with the mark of d’Argental. UPDATE: THIS MADE 350. 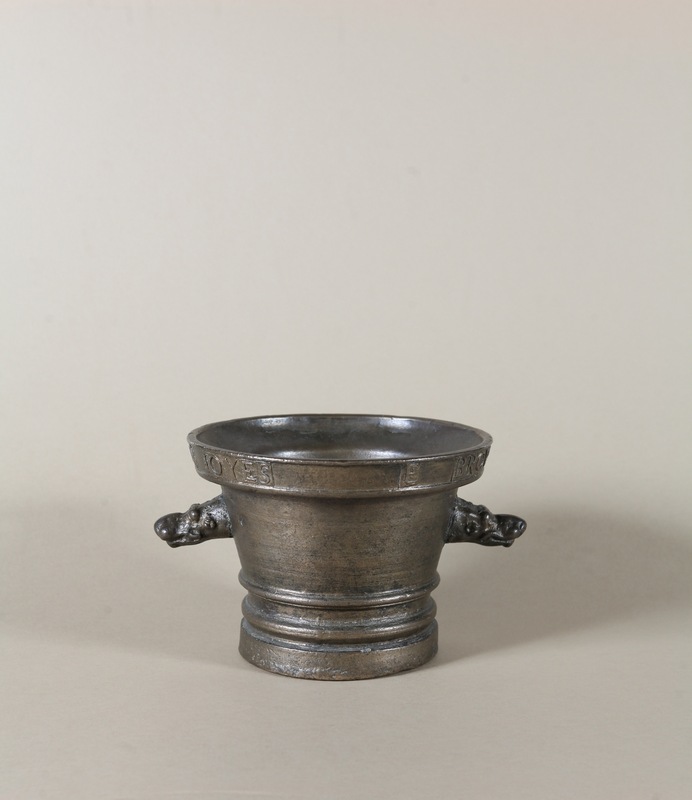 A large 19th century Japanese bronze temple bell, dating from the late Edo period c1850, is one of the more unusual lots at the sale at Cork Auction Rooms on July 28. 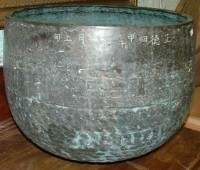 The bell, which is inscribed, measures 52cms across by 40 cms high. It is estimated at 1,200-1,500. Other lots on offer include a collection of Irish maps, three sketches by the Northern Ireland artist Colin Middleton and a c1930 French cameo vase signed by the firm d’Argental, the signature mark adopted by Cristalleries St Louis, which began operations in 1924. It is estimated at 500-600. 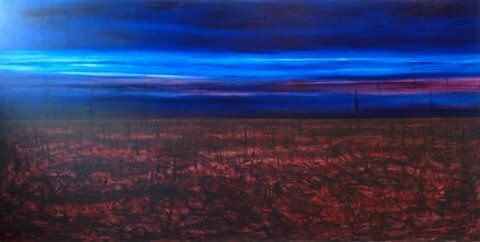 Flanders Fields VIII by Maurice Desmond. (Click on image to enlarge). THE art of Maurice Desmond is entirely his own. There are ways in which this influential Cork based artist is an outsider. Nonetheless his work has had an inspirational impact on many younger artists and his following, though relatively small in market terms, is both discriminating and loyal. After you come to know the work insofar as it will ever allow the viewer to know it the art of Maurice Desmond is as recognisable as it is independent. Emerging at its own unhurried pace it offers layer after layer of contrast and conundrum. The viewer can get lost in introspective images which point towards unknowing, unknown and uncharted territories. Flanders Fields, his first show since 2005, is inspired by the sites of some of the bloodiest battles of the Great War. Maurice Desmond has visited these sites over a number of years, at the same time as immersing himself in the poetry of Wilfred Owen, Edward Thomas and Siefried Sassoon. The resulting images are on show, at the Vangard Gallery in Macroom, Co. Cork, from July 28 to September 8. The front of Boconnoc House. 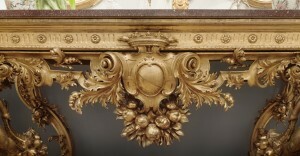 Images courtesy of Sotheby’s. 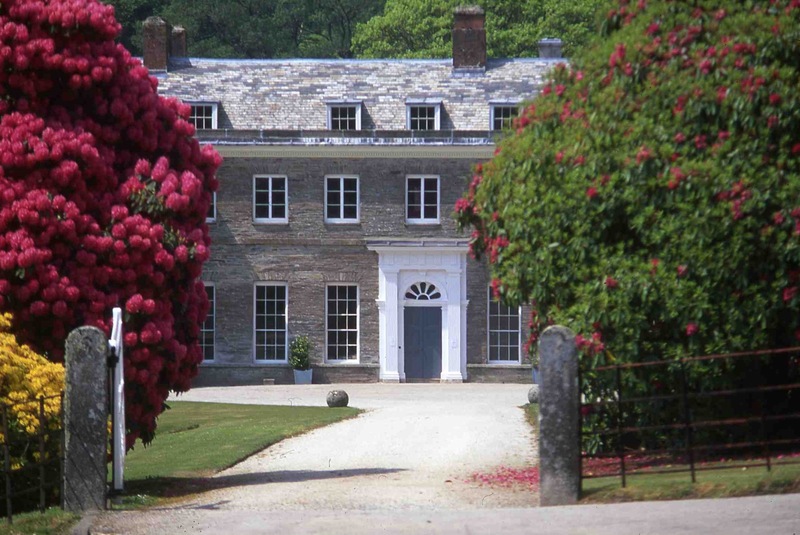 Boconnoc House in Cornwall is the 2012 winner of the Historic Houses Association/Sotheby’s Restoration Award. It was the unanimous choice of judges for its overall revival and comprehensive restoration. The outstanding renewal of the main ground floor rooms and in particular the painted staircase influenced by Sir John Soane were particularly admired. The house, which dates from 1250, has been home to the Fortescue family since 1834 when it passed to them by descent from the Pitt family which provided two Prime Ministers to Britain. The current owners, Anthony and Elizabeth Fortescue, have worked extaordinarily hard since 1997 to breathe new life into a house which had laid empty for 30 years. 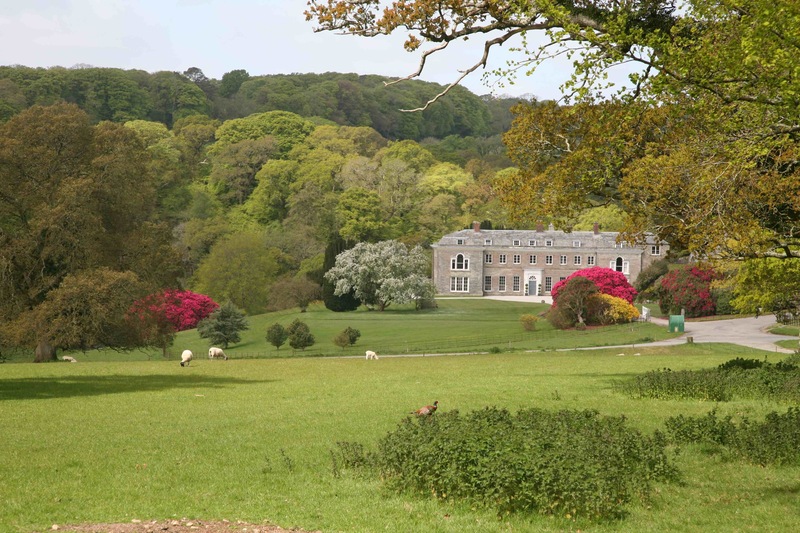 The magical house, 15 minutes from Bodmin in one of the most beautiful settings in Cornwall, is now a thriving business and family home which hosts weddings, conferences and special events. The judging panel included Edward Harley, President, The Historic Houses Association; John Martin Robinson, Architectural Historian; Professor David Watkin; historian of British architecture and specialist on neo-classicism and author of numerous books; James Stourton and David Moore-Gwyn, chairman and deputy chairman respectively of Sotheby’s UK. 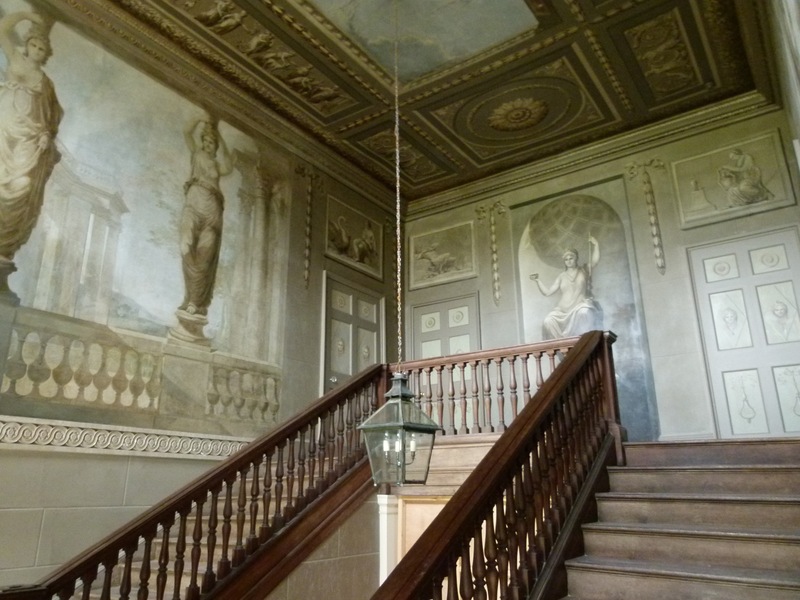 Althorp House in Northamptonshire, Spains Hall in Essex and The Summerhouse at Homme House in Heferfordshire received commendations. 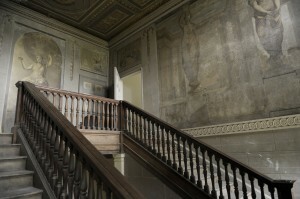 Images are courtesy of Sotheby’s. Click on any to enlarge. (See post on antiquesandartireland.com for July 24, 2011). 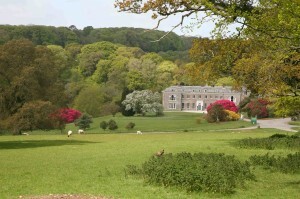 Boconnoc House in its setting. 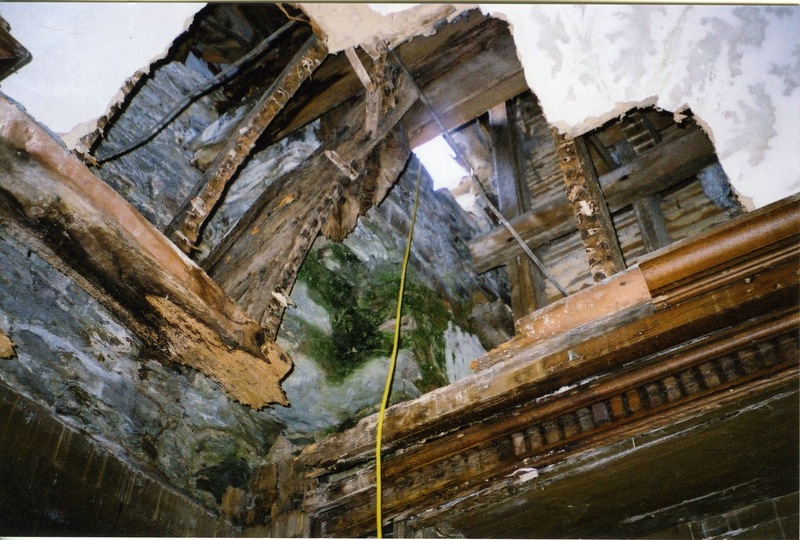 The library cornice before restoration. 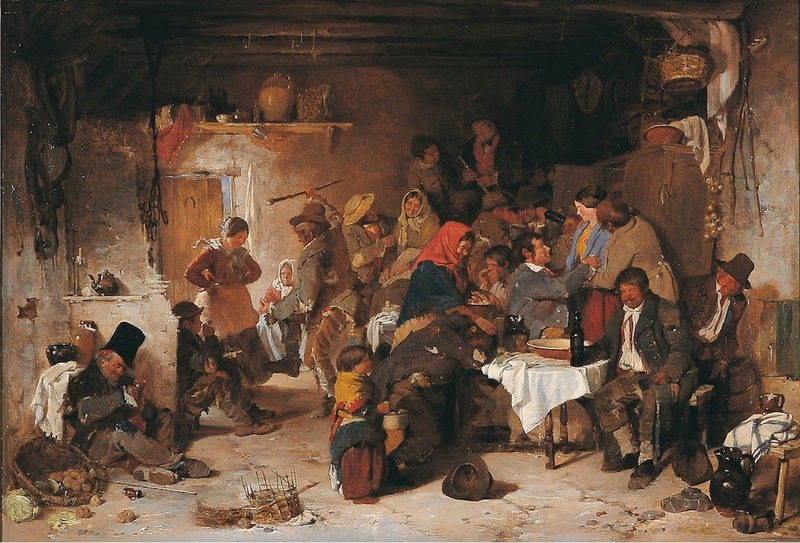 Erskine Nicol’s iconic “A shebeen at Donnybrook” (1851). (Click on image to enlarge). 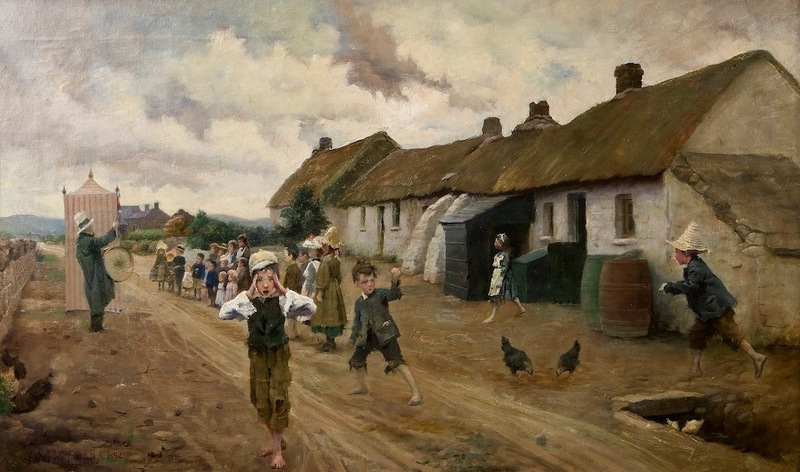 THE life of Irish people as depicted in art over the past 200 years is the focus of the summer loan exhibiton at the Ava Gallery, Clandeboye Estate, Co. Down. 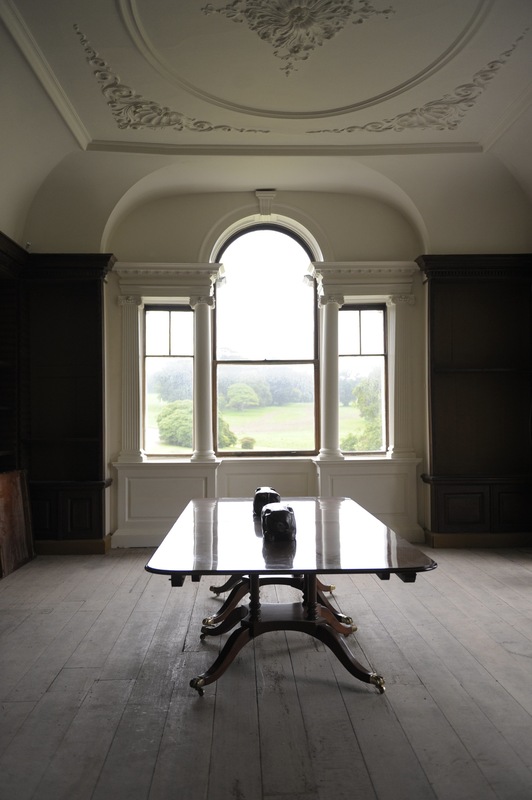 ‘Ireland: Her People and Landscape’ presented by Adams at Clandeboye comprises over 50 important paintings, drawings and sculpture from the 19th and 20th centuries. Drawn from private collections across Ireland it is a non commercial event, with works on loan rather than for sale. 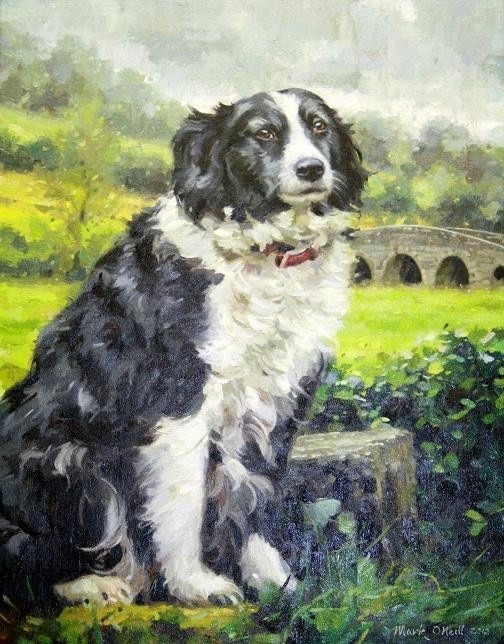 There is iconic work by artists including Richard Thomas Moynan, Sir John Lavery, Walter Osborne, James Humbert Craig, Erskine Nicol, Charles Lamb, Sean O’Sullivan, Lilian Davidson, Sean Keating and many others. David Britton, Director, Adam’s and The Ava Gallery said: “The landscape of Ireland has been a continual draw for artists regardless of their approach to painting, and this exhibition tells a unique story of Ireland’s social history through it. 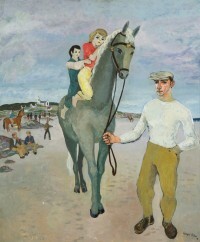 From laborers toiling the land or loading boats with turf, in the west of Ireland to bustling country fairs, families going to mass, a day at the races, or children’s playtime activities, the collection of works tracks time and marks the gradual modernization of Ireland both socially and artistically”. The show runs until September 7. 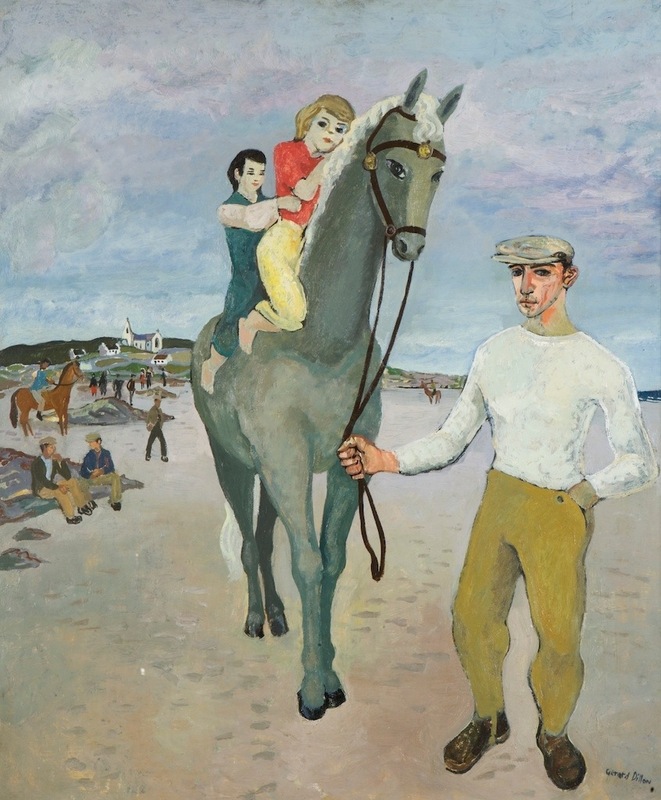 The Jockey, Gerard Dillon. (Click to enlarge). Richard Thomas Moynan, The Travelling Show. (Click to enlarge). Charles Lamb, Connemara Harvesters. (Click to enlarge). 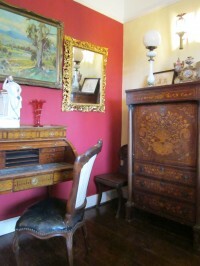 A view of some lots from the auction at Laracor Rectory, Trim, Co. Meath. (Click on image to enlarge). This photograph illustrates some lots from a house contents auction in Co. Meath. The venue is Laracor Rectory at Trim and the sale will take place on Sunday, July 29 at 2 p.m. The 18th century secretaire in the photo is estimated at 2,500-3,500, the satinwood writing desk has an estimate of 4,000-7,000 and the estimate on the pair of Regency hall chairs is 1,200 to 1,600. Matthews of Olcastle are the auctioneers. There is a varied selection of over 600 lots. 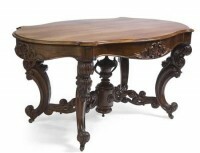 Included is an antique Killarney wood centre table, four large leather bound volumes of Edwardian, Irish and English hunts, an early Victorian partners desk, a pair of Georgian fold over card tables, an Irish plate bucket, a pair of cast iron garden seats, a William IV settee, a George II bureau and an inlaid Edwardian display cabinet. There is some jewellery including a diamond ring in excess of four carats. The catalogue is on-line. THERE will be something for everyone at the National Antique and Art Fair in Limerick this weekend. The South Court Hotel is the venue for this two day event on July 21 and 22. More than 70 dealers from all around Ireland will be in attendance, including members of the Irish Antique Dealers Assocation. On offer is an across the board selection of antiques and collectibles. Opening times at the fair, organised by Hibernian Antique Fairs, are from 11 a.m. to 6 p.m. on each day. Here is a small selection (click on any image to enlarge it). Gallery Zozimus of Francis St., Dublin will offer Minding The Bridge by Mark O’Neill priced at 5,500. A Victorian rosewood centre table c1850 has a price tag of 4,750 at Maguires Antiques. 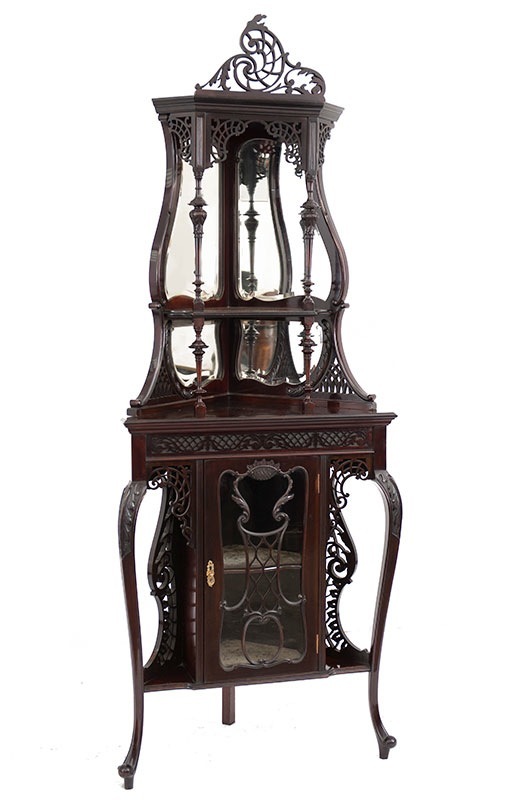 A Victorian carved mahogany corner cabinet at Maguires Antiques, Co. Mayo is priced at 3,350. 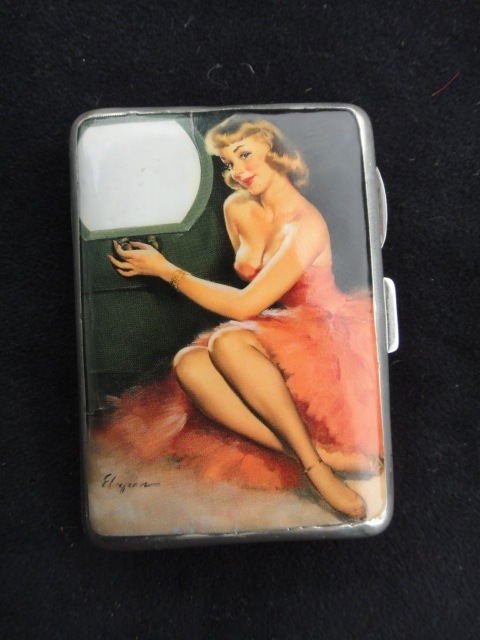 This Art Deco 1929 Silver Risque Cigarette Case is priced at 320 at Annamoe Antiques. 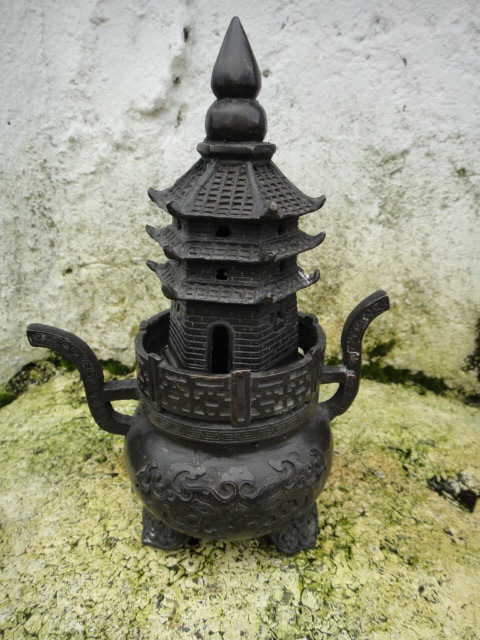 Annamore Antiques of Co. Wicklow will offer this 18th Century Bronze Chinese urn priced at 450. 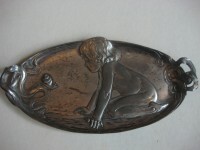 An Art Nouveau card tray at Treasures has a price tag of 150. 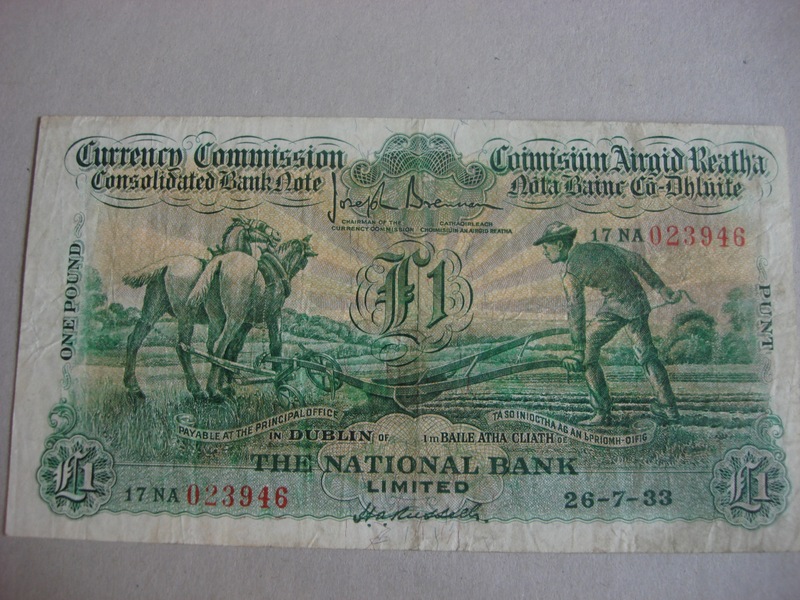 This Ploughman’s £1 note dated 1933 is Treasure’s Irish Art, Athlone, is priced at 350. The 17th Century Bronze /Bell Metal Mortar at Dolan’s art auction. (Click on image to enlarge). UPDATE: THIS MADE 8,250. 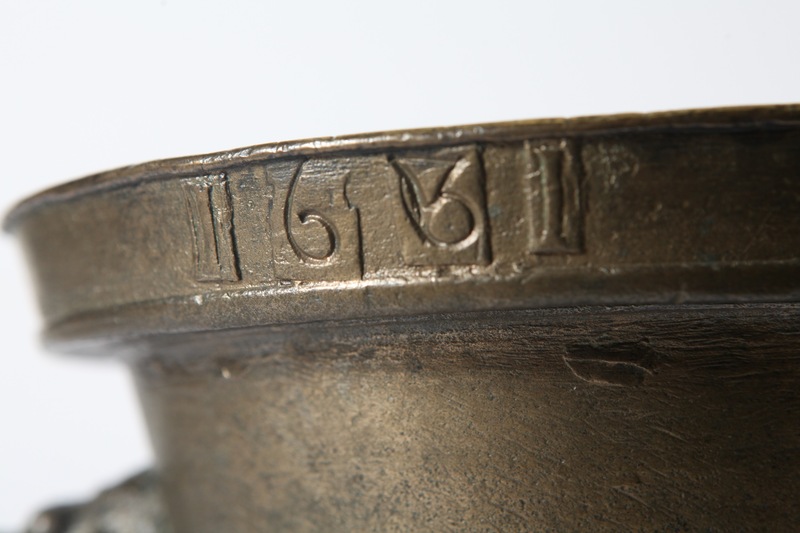 An extremely rare 1631 mortar inscribed to commemorate a marriage between two great Galway families, the Joyces and the Brownes, is a feature lot at Dolan’s art auction in Ballynahinch Castle on August 6. 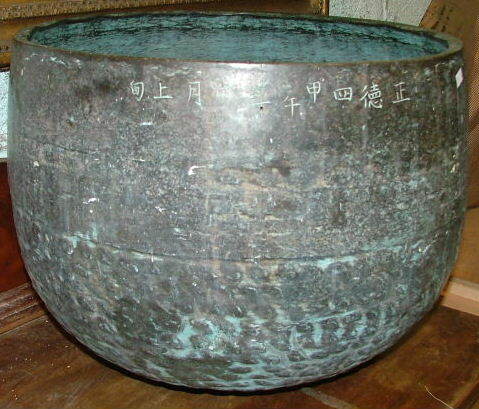 The mid 17th century bronze or bell metal mortar probably originated in England or in the north east of Continental Europe. The inscription on the rim – E. BROVNE … 1631 … T. IOYES – was probably added later. 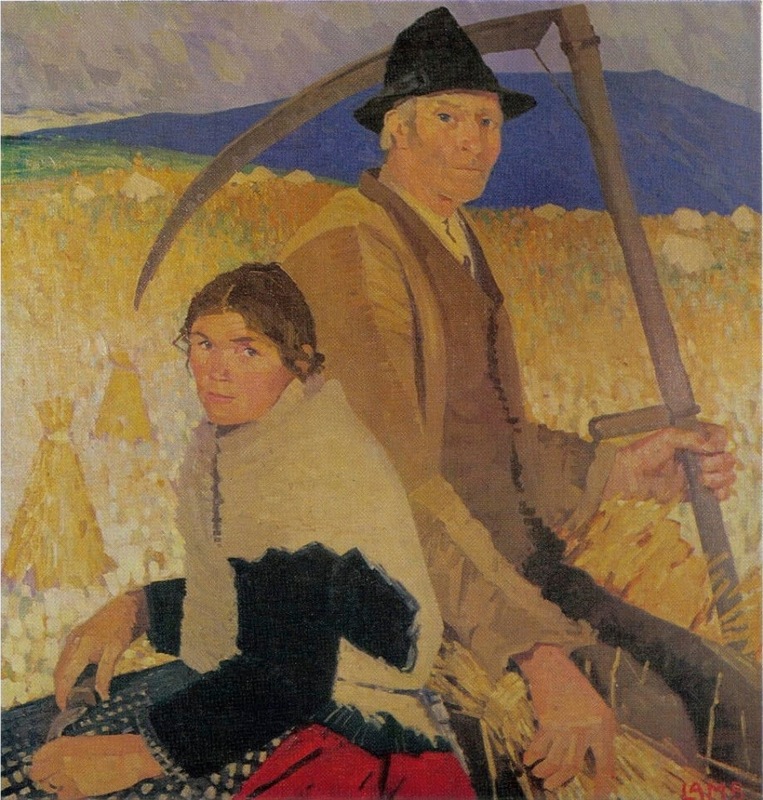 The piece has passed down to the vendor through generations of the Lynch family of Belclare, Co. Galway. It was of practical use and may have been put on the table to grind herbs and spices. This was a symbol of wealth as only the most privileged would have been in a position to import spices from the East Indies. 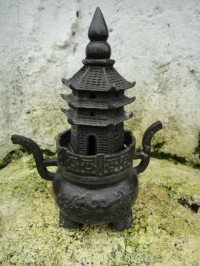 The handles appear to be modelled on late medieval gargoyles used as water spouts in buildings of the time. They resemble hippopotamus heads, a possible allusion to the exotic nature of the spices being ground. It dates from a time when leading merchants often resided in fortified town houses in Galway. Lynch’s Castle, on Shop Street, Galway is an example of one such fortified townhouse. The foundry where it came from would have manufactured bronze and brass bells and military cannon. Ireland for their advice and assistance in cataloguing this Mortar. 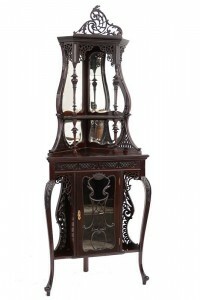 The August Bank Holiday Monday auction in the wonderfully scenic Connemara surroudings of Ballynahinch offers a good selection of Irish art and sculpture plus a number of lots of furniture, silver and porcelain. A detail of the mortar showing part of the inscription. (Click on image to enlarge). A detail of the mortar showing the date. 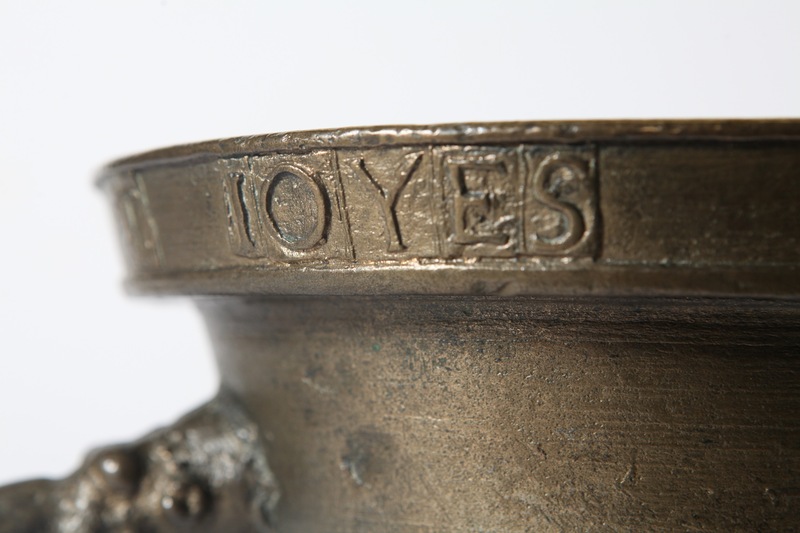 The maker had a set of letters, but no numbers, so ‘I’ was used as a ‘One’ and the numbers six and three have been inscribed. (Click on image to enlarge). 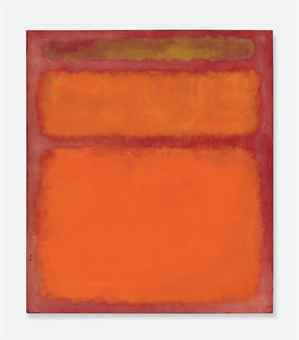 Mark Rothko’s Orange, Red, Yellow sold on May 8 for $86,882,500 a world record price for any contemporary work of art sold at auction. Global sales at Christie’s are up 13% to £2.2 billion ($3.5 billion) on the first six months of 2012. Growth in on-line activity saw a 15% increase in the number of clients bidding on line and a 20% increase in visitors to the company website. Collectors from 124 countries registered to bid at global auctions and private sales are up by 53% to £413.4 million. Post-War and Contemporary art led the categories with auction sales of £576.1 million ($921.8 million) up 34%. The New York auction on May 8 brought in $388.5 million (£240.9 million) and was the most valuable auction ever in Post-War and Contemporary art. In the first six months of 2012, Christie’s sold 340 works at auction for over $1 million (376 in the same period 2011) and 26 for over $10 million (18 in the same period 2011). The market at more accessible price levels also performed strongly; Christie’s South Kensington saleroom, which offers works of art from under £1,000, built on two consecutive years of record sales and recorded its highest ever total. Christie’s chief executive Steven P. Murphy said: “We’ve seen a steady increase in sales at Christie’s driven by three key factors: growing worldwide demand for art, the quality and curation of important consignments and our consistency in offering the best service and broadest choice to our clients”. The second half of the year began strongly with the evening auction of Old Master and British Paintings in London on July 3 which realised £85.1 million, a record total for the category. Christie’s will launch the first in a series of online-only auctions for a global collecting category in August with a sale of fine and rare wines. Coinciding with the Olympic Games, Christie’s South Kensington will present The London Sale. An extended public exhibition will start on July 27 and run through to the auction on September 3.